It was perhaps the most spectacular hotel opening in the Caribbean that no one knew about. Last year, Swiss luxury hotel brand Kempinski opened the Gran Hotel Manzana Kempinski in Havana, a five-star stunner that was one of the most spectacular debuts in the region in recent memory. Thanks to tightened travel restrictions to Cuba, though, few U.S. travelers will get a chance to experience it. 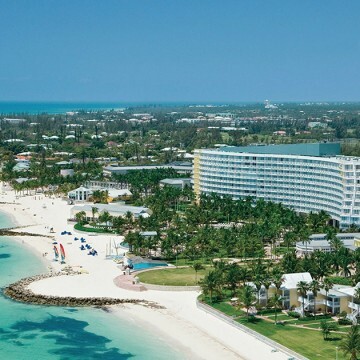 Kempinski’s second Caribbean hotel project, however, is a different story. The company is planning to open its highly-anticipated Cabrits Hotel and Spa in northern Dominica in 2019, it said in a statement. The Portsmouth-area project will be set at the edge of the historic Cabrits National Park on the northwestern edge of the island, adding a major new luxury destination to Dominica and the wider region. The 160-room hotel will include a spa, a gym, an all-weather tennis court, hot and cold water pools, sweeping gardens, among other amenities. A rendering of a room. Range Developments is best known within the region as the developer of the highly-acclaimed Park Hyatt St Kitts, which opened late last year. The new Kempinski will join a handful of luxury properties in Dominica, headlined by the soon-to-reopen Secret Bay and the ultra-boutique Pagua Bay, adding to Dominica’s tourism recovery, one that has already begun in earnest with the transformation of the Fort Young Hotel in Roseau.